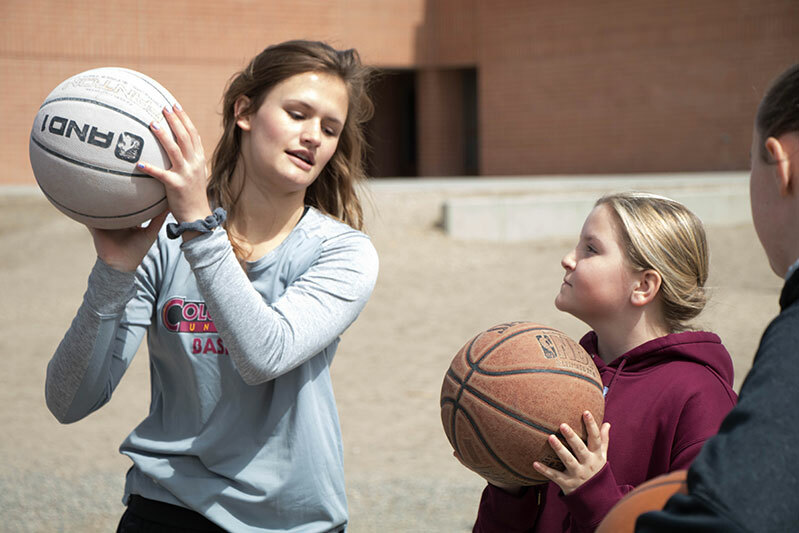 The Colorado Mesa University Women’s and Men's Basketball teams spent an afternoon at Thunder Mountain Elementary School mentoring children in a day of generosity, mentoring and giving back to the community. 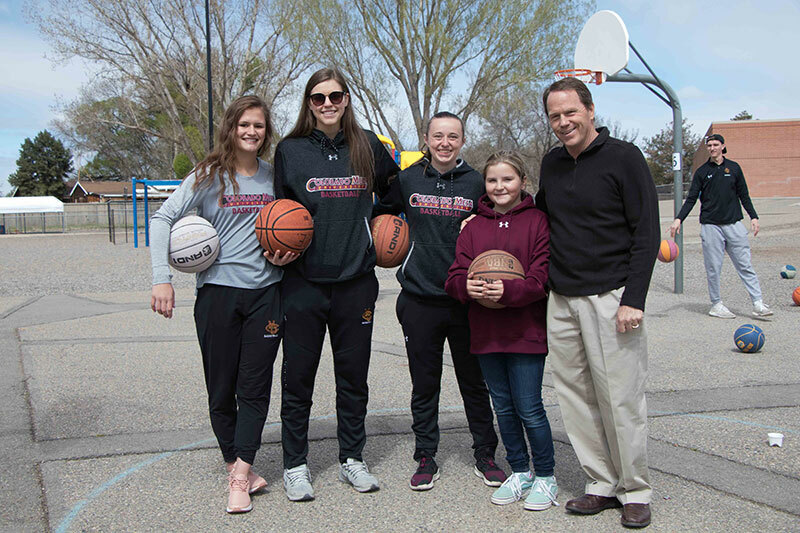 Over a dozen CMU athletes helped dedicate hoops donated to the school from CMU and they hosted a basketball skills clinic for the children following the ceremony. 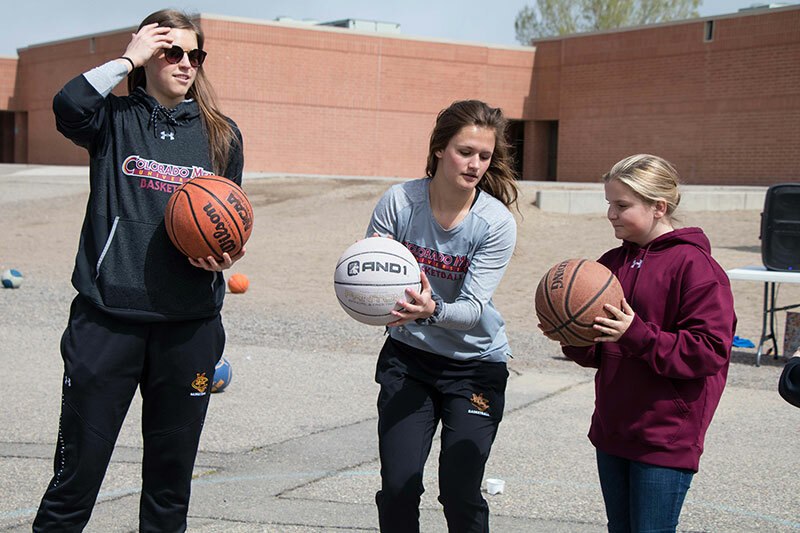 CMU|now was at the event capturing the excitement and enthusiasm as Thunder Mountain Elementary students shared in their love of the game with CMU university mentors. 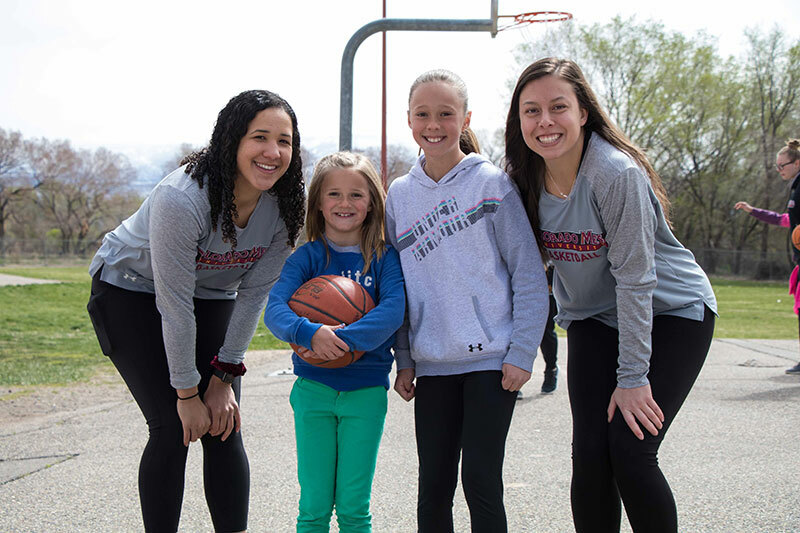 When asked about the project, women's head coach Taylor Wagner explained that he knew something was missing from the school playground after his daughter, a student of Thunder Mountain, mentioned there were not enough hoops for kids to play basketball. The lack of sports equipment sparked an idea that resulted in a trip to the CMU Department of Athletics storage facility, where he found a number of rims and poles not currently in use at CMU. Wagner believed the items might be a good fit for the Thunder Mountain Elementary School playground. He called Diane Carver, the school principal, who agreed additional hoops would benefit the children. “This day is something our athletes will never forget,” said Wagner. “Student athletes who learned to love their sport early in life were able to pass that gift forward to these young kids while donating equipment that makes athletic development possible. 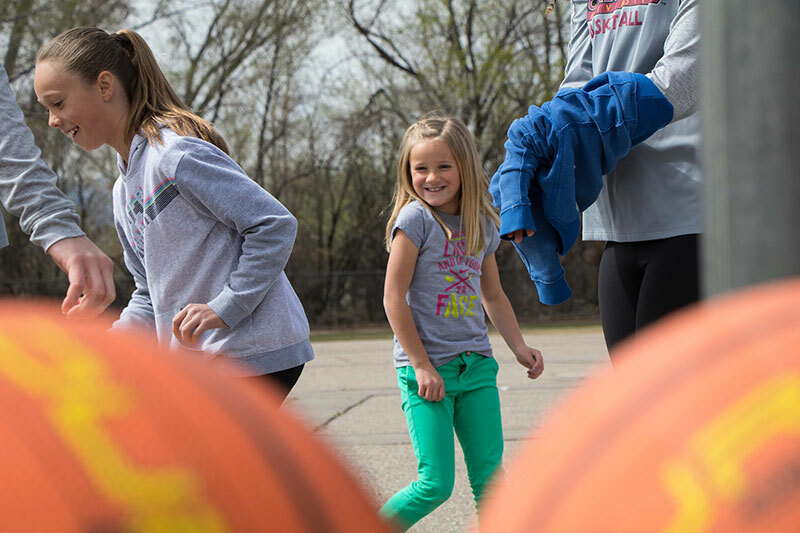 Donating the hoops was a small contribution compared to what these children gave our players in terms of their passion for life and the game of basketball." Joining over one hundred elementary students for the occasion was CMU President Tim Foster and Mesa County School District 51 Superintendent Diana Sirko. Both provided remarks during the donation ceremony in addition to observing the hoops clinic. CMU also donated additional hoops to Tope Elementary School, and FCI Constructors installed the hoops at both Tope and Thunder Mountain.